Several highway connector ramps in San Diego County will be closed over the weekend for repairs, officials said Friday. 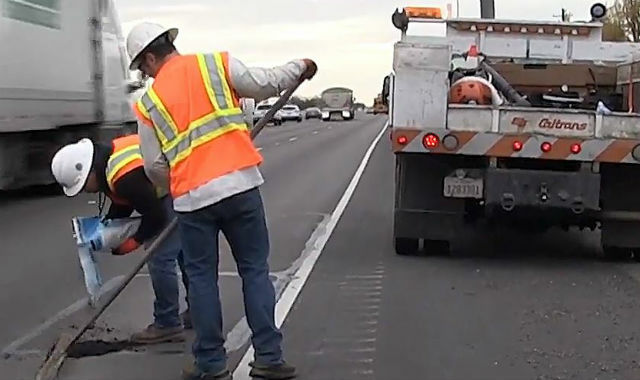 The northbound Interstate 5 connector ramp to eastbound state Route 78 will be closed from 4 a.m. to 8 a.m. Saturday for pavement repair as well as the two right lanes of SR-78 over I-5 to Jefferson Street, according to Caltrans. The southbound I-5 connector to northbound state Route 163 will be closed from 3 a.m. to 6 a.m. Saturday for maintenance, according to Caltrans. One lane of the northbound and southbound Interstate 15 Express Lanes will be closed from 3 a.m. to 11 a.m. Saturday and Sunday for maintenance, according to Caltrans. The left northbound I-15 Express Lane will be closed from SR-163 to Ted Williams Parkway at state Route 56 and the left southbound I-15 Express Lane will be closed from Ted Williams Parkway at SR-56 to Poway Road. Signs will be posted directing motorists to various detour routes at all repair sites.